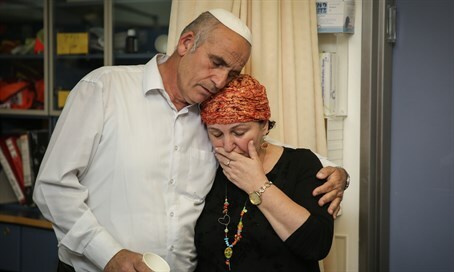 Amiram Ben Uliel, who has been accused of involvement in the Duma case, told investigators during his interrogation that that he committed the crime out of vengeance for the murder of Malachi Rosenfeld. Rosenfeld added that "when something happens here, it’s easy to say that all the settlers are like that, but we grew up just like everyone else. I have to always come out against this perception and now I have to work to prevent this type of perception in the public sphere. I was hoping there would not be a connection between the two incidents, given their close proximity to each other. I told my husband that the last thing we need is this connection. " Rosenfeld emphasized that the murder of Arabs in retaliation for a terrorist attack against Jews is something completely unacceptable. "I understand frustration regarding Jews murdered in Israel, but to act in this way is perverse, unacceptable and horrible. My God is not asking for these things."